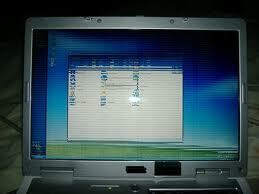 Islandwide Onsite Laptop Repair At Home Or Office! Laptop/notebook computer LCD screen is fragile and break more easily than people think. 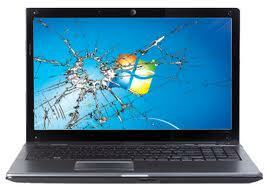 However, you do not need to buy a laptop if your LCD screen is damaged as we provide excellent replacement LCD screens at very reasonable price. Be it Apple Macbook, Dell, Toshiba, HP, Sony, Asus, Lenovo, Fujitsu, Samsung, Acer, Compaq, Alienware, IBM etc, we have the right screen for you. If your Laptop LCD screen has dead pixels or lines; or if the picture sharpness is reduced and backlight is not working problem, don’t panic. We can repair your LCD screen and return it to that fresh, crisp out-of-the-box look, because we have the skills and spare parts to help you. Feel free to contact us at our hotline at +65 9790 0126 or fill up your details in the form on the right and we will get back to you within 24 hours. Or you may like to drop by our repair shop if you are around Tampines. P.S: Please check if it’s still under manufacturer warranty. If still is, it’s better for you to approach them instead. © 2019 Laptop Repair Service. All rights Reserved.